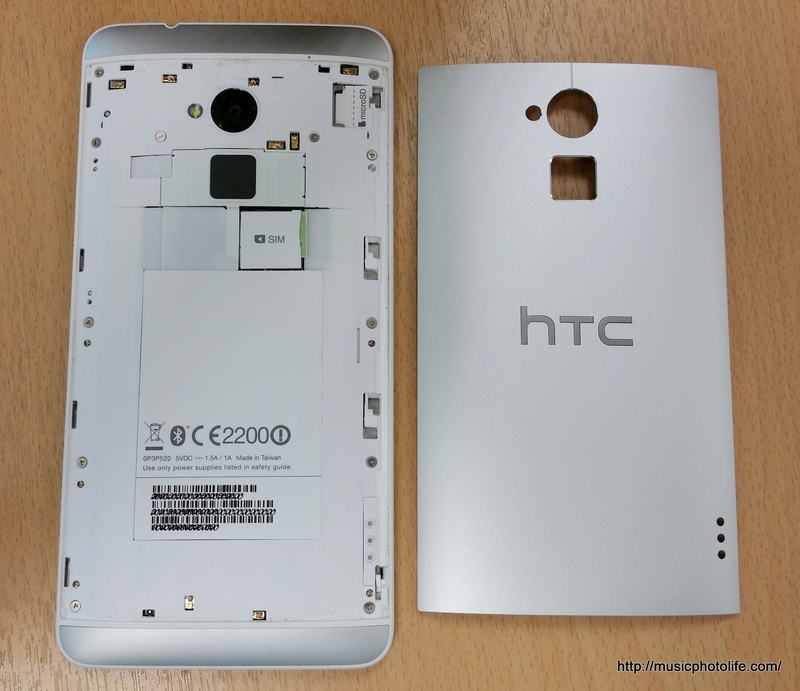 HTC continues to milk the success of the HTC One design and releases the HTC One Max, a 5.9-inch large smartphone. But how does it feel using it in real life? Here's my take. 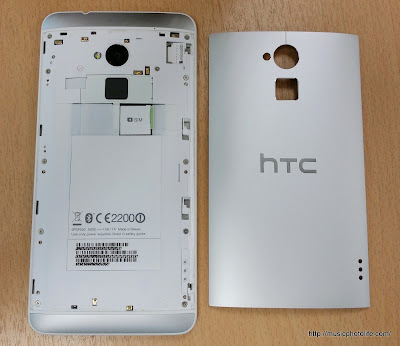 The HTC One Max follows more closely to the HTC One Mini design, which frames the device with tough white plastic. The volume and power buttons lie on the right side, the USB connector on the bottom and the IR trasmitter and headset jack on the top. 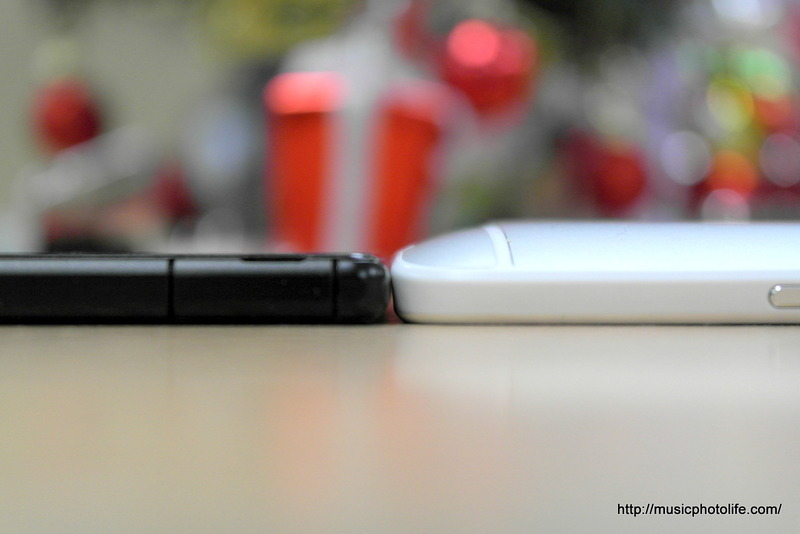 A lever on the left unlocks the rear aluminum casing, exposing the inerts where the SIM and micro SD card slots are found, yet the battery remains non-removable. Updated Video Highlights interface: The new workflow is a lot more easier to compose and edit the Video Highlights. Now I can select content, themes and even pick my own music tracks within the same screen. As I pick the new selection, I could immediately watch the preview. Less lock screen options: The lock screen now only allows paged widgets, while previously you could select a few lock screen styles, e.g. photo slideshow. Dual shot: this feature was first available on Samsung Galaxy S4 and subsequently in many of its high-end devices. The HTC One Max version is a plain vanilla picture-in-picture format. The smaller window cannot add frames nor can it change the aspect ratio unlike the Samsung version. It also cannot swap windows during video recording, when the Samsung could. Nevertheless, it's a nice feature to have to capture both sides of the camera at the same time. No more Beats Audio engine: New HTC devices no longer come with the Beats Audio engine, which is a real pity because it deliver better audio sounds. While the front-facing speaker design still offers much better listening experience than most smartphones, there is no audio effects or equalizer adjustment on the HTC Music app to tweak the audio output. Fingerprint Scan: The most prominent hardware feature on HTC One Max, you can assign up to 3 fingers to activate any app from lock screen without entering password. I find the scanning feature is quite responsive and unlocks the device quite fast. Having said that, there is limited use. Firstly, it only works in unlock screen, so you can't use it to start apps while the phone is already unlocked. Secondly, the location is not quite accessible to use other fingers to unlock or start apps, except index finger. Also, you need to pick up the phone to unlock, which adds to the hassle when your device is on the table or on a stand. Re-locating the scanner to the front will make more sense, since the user would still need to use the finger on the other hand to navigate the phone. It's not the size that puts me off. The HTC One Max is smaller than the Sony Xperia Z Ultra which I had positive reviews on. The problem I have with the HTC One Max is that it's too heavy. 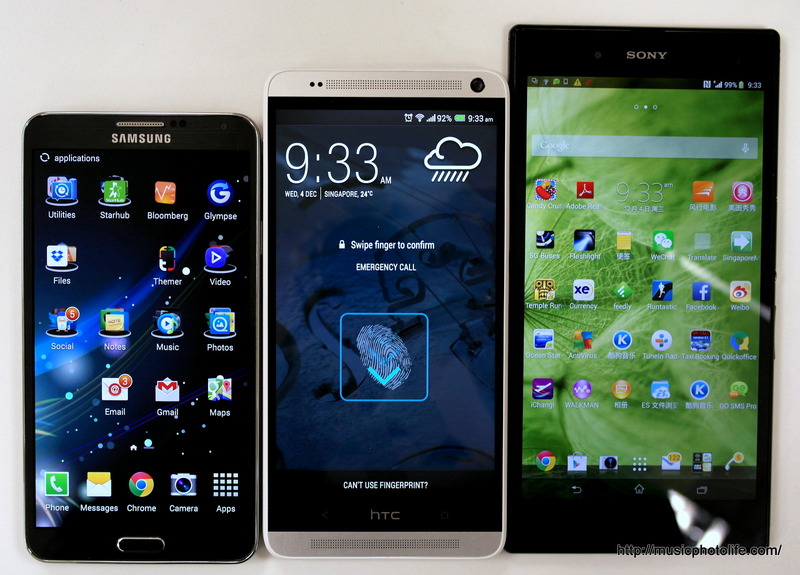 Samsung Note 3 did it right with lightweight, while Sony Xperia Z Ultra offered a slim package. HTC went the other way of the scale, and it felt too much for my pinky finger to support. HTC One Max is a larger and heavier version of the HTC One. While it inherits many of the great features, it also adds a heavy drawback. I love the screen quality, the front-facing speakers, the oh-so-speedy the camera startup and shutter, the HTC Zoe, the video highlights, and the stability of the UI. But I do not like the weight, despite the premium aluminum rearplate. The fingerprint scanning is useful only for a limited scenario. So, if you like the HTC One design and user interface so far and needed a larger screen, you will not be disappointed with HTC One Max. If you are looking for a large-screen smartphone with no brand preference, then HTC One Max's weight might put you off. Haha RogerBlack, you are so attentive to details on the images! I gotta ask my colleague how he uses that app!